travel: the final countdown to italy | eat. drink. fly. only 9 more sleeps until we depart. it feels real now. very real. we’ve bought all those little things one should have… travel pillows, new luggage tags, universal adapters… you know. i’m trying to concentrate all my happy feelings on this trip and working on my body healing itself so that i’m ready to rock. i’m not gonna lie… i’m in a lot of pain these last few days. my fall in the turks was worse than i first thought and i’ve been in & out of the hospital 3 times in the last 5 days. all the docs say i should be fine to fly as long as i take the next little while to really rest up and keep my leg elevated. so basically i’ve been spending some quality time with my couch. 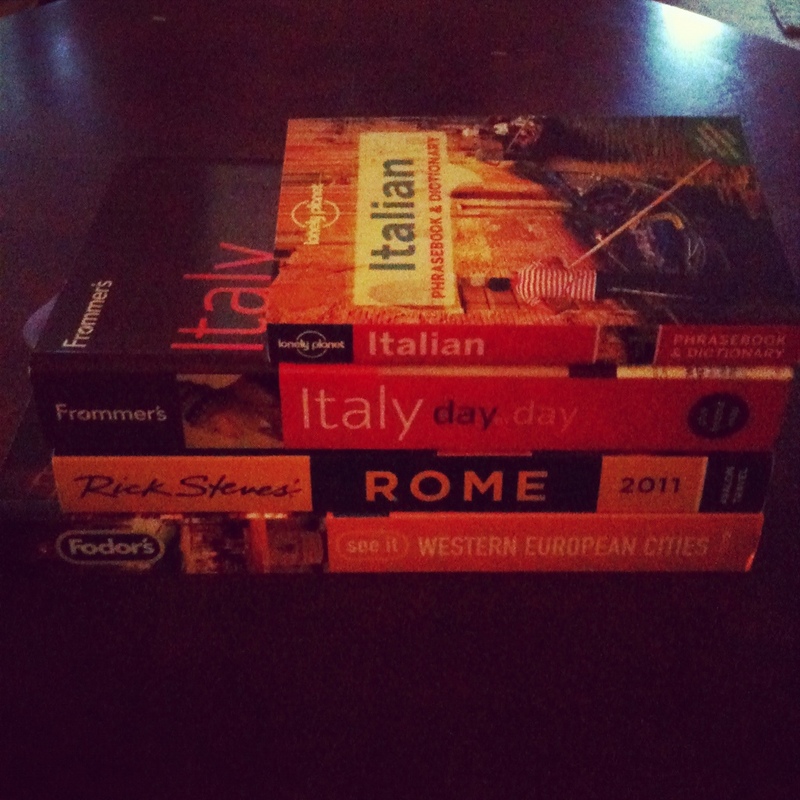 it’s cool because its given me a chance to really pour over my travel books. which has been good… but due to pain killers and such, i’m not really retaining much. let’s just say that despite 3 reads, i still can’t speak any italian. which is why i bought the pocket sized book, lol. i honestly couldn’t be happier that we’re going on a guided tour. the weight off my shoulders is massive. especially with this injury, not having to schlep my bags around myself and worry about getting myself to & from train stations is absolutely priceless. and i know it sounds silly, but i spend my days planning other people’s trips for them… i’m kinda burned out on it when it comes to my own trip. to let someone else take the reigns and do all the nit picky details for me is a blessing. all we have to do is show up, and go along for the ride. and thats exactly what i want out of my vacation. plus, since italy is all new to me, i won’t proclaim to know all the ins and outs. 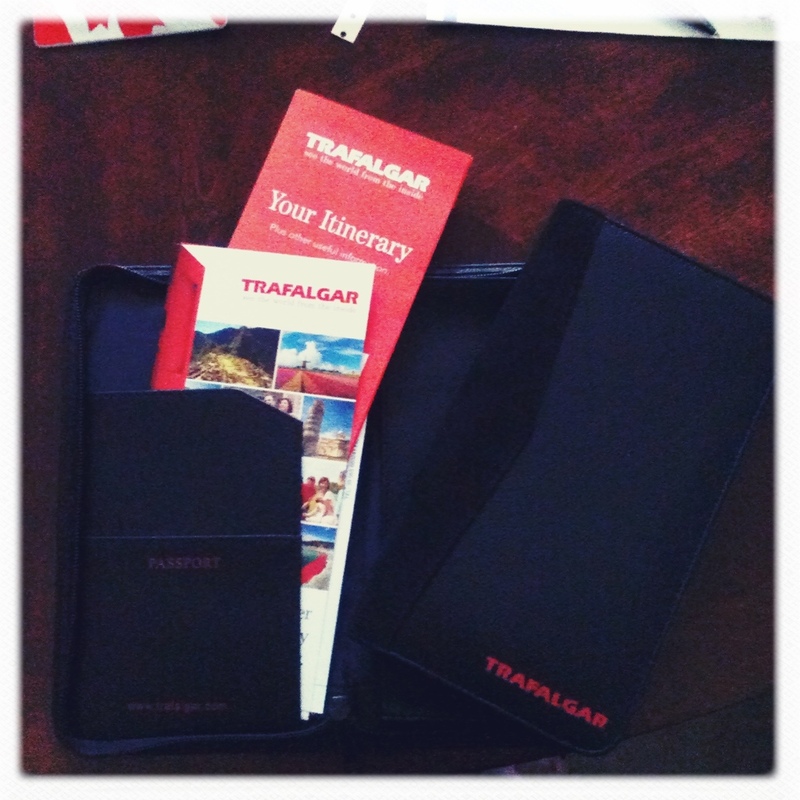 trafalgar are experts, so i’m just gonna let them do what they do. anthony bourdain has been schooling me on the food… waterfront cities of the world has shown me the secrets of venice… and last night i watched a show on daily life in ancient rome. and i’ve been soaking up as much as possible. again, as much as is possible with a head full of painkillers, lol. i have a bit of a mental list of things to see and places to eat based on shows, books and personal recommendations… but overall, the plan is to just go with the flow. the only real “must do” for food so far is “restaurant X” that anthony bourdain waxed poetic about in an episode of No Reservations. 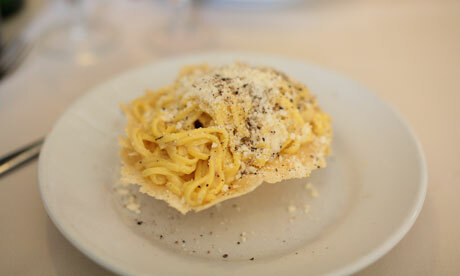 i simply must eat that pasta dish that he showed – Tagliolini Cacio e Pepe. it has to go in my mouth. like… pretty much the day we arrive in rome. thankfully, the internet has reviled his “secret” to be Ristorante Roma Sparita and so, this will be accomplished. to be honest i’d really like to work my way through this list… 10 best restaurants in rome but sadly my time is limited in rome to 4 days. i do promise you this… there will be many food pictures on my return. if i don’t take at least one picture of everything i put in my mouth, i will have failed myself. as well, it seems that my hotels should have wireless, so i’ll do my best to post some blogs from on the ground… but i’m not bringing a laptop, just my ipad, so they may lack photos until i return back in mid-october. These are “Jewish style” fried artichokes (in ancient Rome, the majority of the neighborhood inhabitants were Jewish) and are a typical Roman dish that is becoming harder and harder to find these days. Lots of people will tell you to go to the Jewish Ghetto neighborhood to try them, at places like the overrated and overpriced Da Giggetto, but Da Enzo has them just as good and you’ll spend half the price for your meal, in a decidedly non-touristy environment.For your pasta dishes, Enzo has a good selection of the basic Roman classics, like arrabbiata, amatriciana, and carbonara. I think one of their great selling points is that they know exactly how to cook pasta al dente, that Italian style of cooking the pasta so that it is firm to the bite. See how there’s a white ring in the middle of the pasta when you bite it? That’s the part that remains uncooked and gives it that special al dente consistency that is the mark of a great Italian pasta dish. After getting used to this style of cooking pasta, it can be hard to go back to the squishier version we have in restaurants in the States, which Italians call scotta, overcooked.Whenever we have visitors, this is one of the places we always try to take them. As the smile (and big bottle ‘o house wine) will tell you, our most recent visitor and favorite houseguest Jessica definitely approved!